This Sunday April 14th, come enjoy Easter Brunch with us! Open 11 am to 2 pm. Call now to book your reservation at 613.498.2829 or at info@brockberry.com. 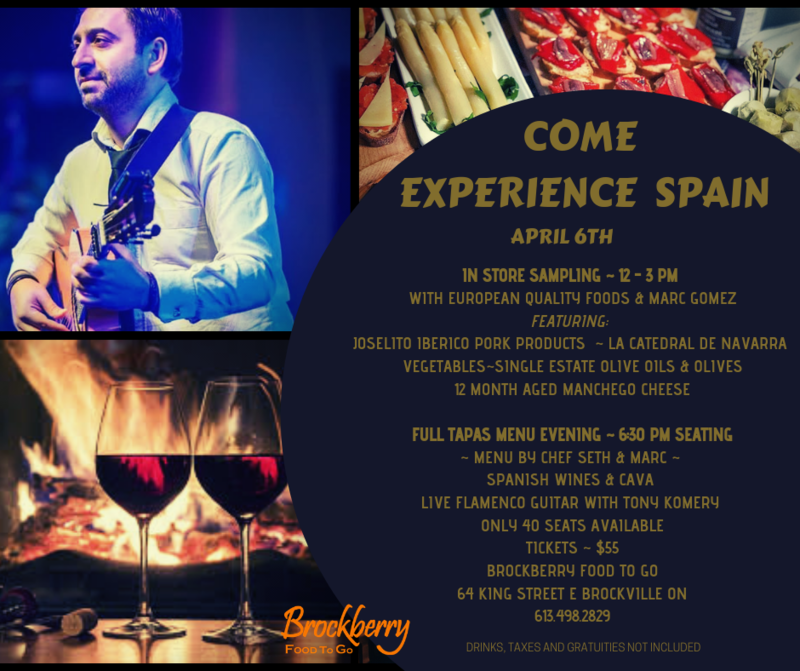 Join us at Brockberry Food To Go, Sat April 6th for a day from Spain! In store sampling from 12 – 3 pm with European Quality Foods & Marc Gomez. Full Tapas Menu Evening, 6:30 pm seating. Menu by Chef Seth & Marc, Spanish wines and cavas. Featuring Live Flamenco Guitar with Tony Gomery. Tickets $55 per person. Join us at Maplehurst Manor March 10th, 12:30 – 3:30 pm for our March Luncheon! Featuring Sue Baker Jazz Trio. Tickets $39 per person. Cash bar available. Call now to book your reservation at 613.498.2829, or email us at info@maplehurst.ca. 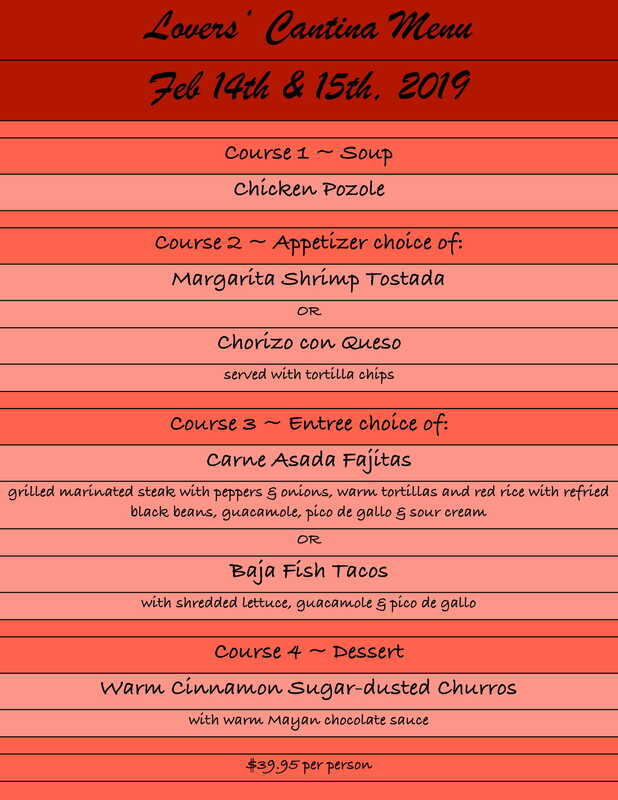 Lovers’ Cantina Menu Feb 14th & 15th! Ahhh, ‘mi amor’, we are bringing Mexico to Brockberry this Valentine’s Day just for you! Celebrate with your sweetheart ‘Mexican style’ and savour our extra special ‘Lovers’ Cantina Menu!’ Join us, Thurs Feb 14th & Fri Feb 15th, 12 – 6 pm, when we will be featuring Seth’s delicious 4 course meal for all lovers’ to enjoy! 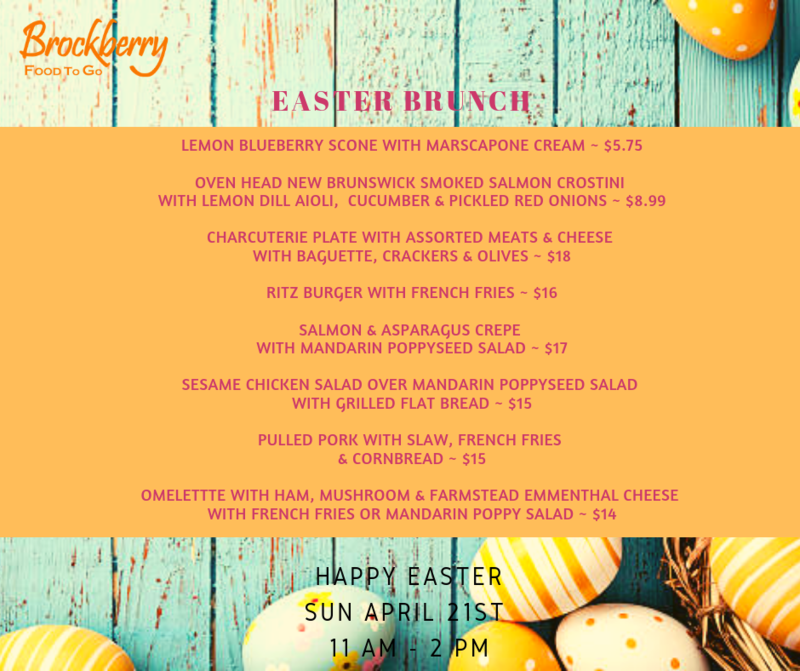 Book your reservations now at 613.498.2829, or by email at info@brockberry.com. Feliz Dia de Valentin a todos!! Join us at Maplehurst Manor Feb 10th, 12:30 – 3:30 pm for a very special Jazz Luncheon with your Valentine! Featuring Sue Baker Jazz Trio. Tickets $39 per person. Cash bar available. New hours starting Jan 17th ~ till spring! 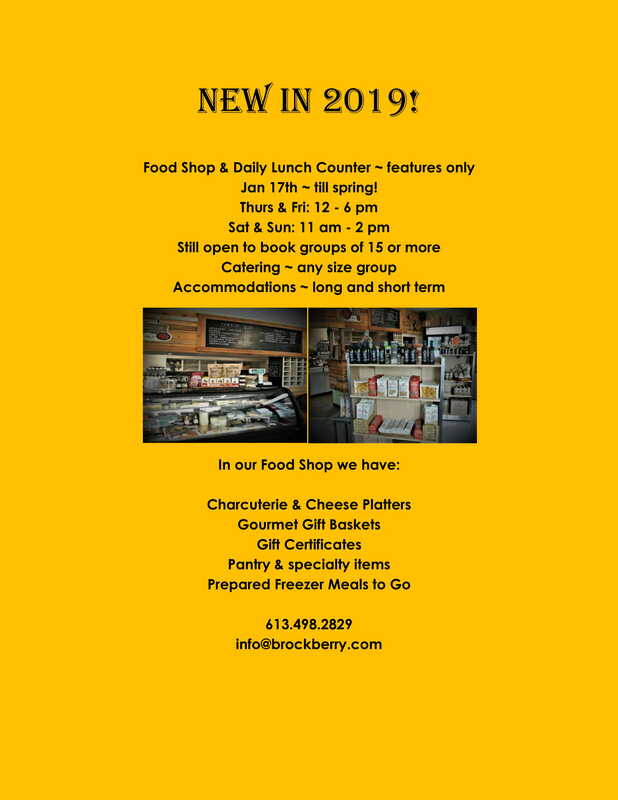 Our food shop & lunch counter with daily features will be open starting Jan 17th till spring! Visit our food shop for an ever delicious variety of charcuterie & cheese platters, gourmet gift baskets, pantry & specialty items, as well as many prepared freezer meals to go! Catering any size group is always available, and our restaurant can be booked for groups of 15 or more. For more information, contact us directly at 613.498.2829, info@brockberry.com.